We shed the light on redistricting and gerrymandering with reporting, analysis and open source tools. What does redistricting look like? Use the slider to see how the districts of three contentious states have changed over the years. Redistricting is the process of adjusting districts based on population. It affects every type of district from which people represent us—from federal, to state and local districts. In the U.S., this generally happens every ten years after the Census Bureau completes its decennial Census and the new population data is released to each state legislature. However, the U.S. Constitution has little to say about how redistricting should occur. Beyond the universal requirement for “one person, one vote”, each state is free to determine its own constitutional requirements or statutes for redistricting. For instance, states may have different standards for acceptable deviation from the equal population requirement, and information that is acceptable to use in one state’s process may be explicitly forbidden in another’s. Want more in-depth information about gerrymandering? How do we know if gerrymandering has occurred? One of the “traditional” redistricting principles, low compactness is often a sign of potential gerrymandering by courts, state law and the academic literature. 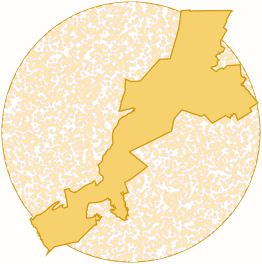 Ratio of the area of the district to the area of a circle whose circumference is equal to the perimeter of the district. 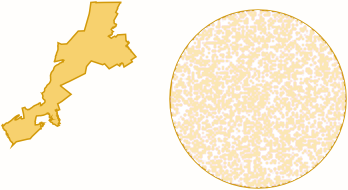 Ratio of the perimeter of the district to the circumference of a circle whose area is equal to the area of the district. 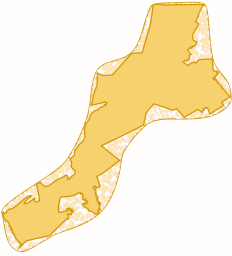 Ratio of the area of the district to the area of the minimum convex polygon that can enclose the district’s geometry. Ratio of the area of the district to the area of the minimum bounding circle enclose’s the district’s geometry. Measures a political party’s wasted votes to calculate a partisan advantage. 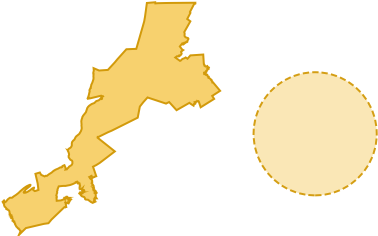 Ratio of districts a party wins to how many votes it wins in a legislative body. Measure of how much a redistricting plan deviates from normal. As each round of Congressional redistricting took place, we set out to measure district compactness and gerrymandering to assess how the results have affected the geometry and geography of legislative districts across the US. We’ve built products and tools based on our research into redistricting and gerrymandering. has made us a leader in political data analysis. Help you unearth the unexpected by formating, processing, and geocoding your data. Advance your mission and raise your profile through data-driven stories. Empower your organization and the communities you serve with thoughtful maps. 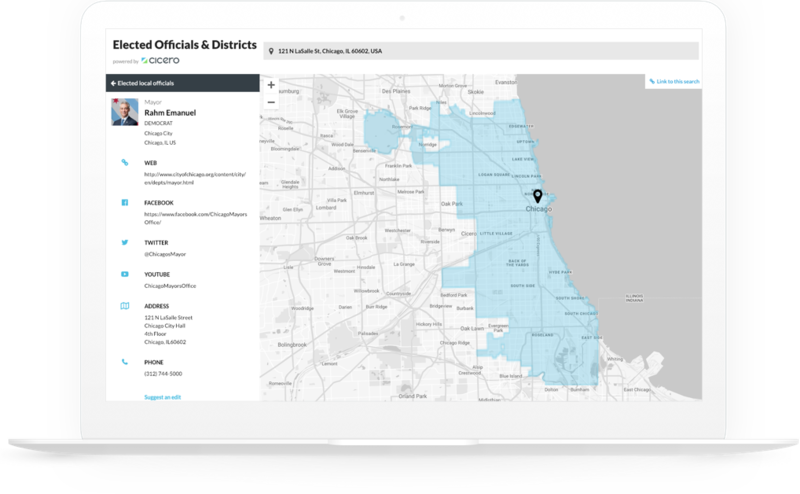 The Elected Officials and Districts tool allows people to explore the data for every legislative district at the National and State level in the U.S. (as well as 8 other countries) for over 350 cities and counties. Enter your address to find current elected officials and their contact information, or visualize your current and future legislative districts. We believe that enabling citizens to participate directly in the redistricting effort has the potential to transform the process. 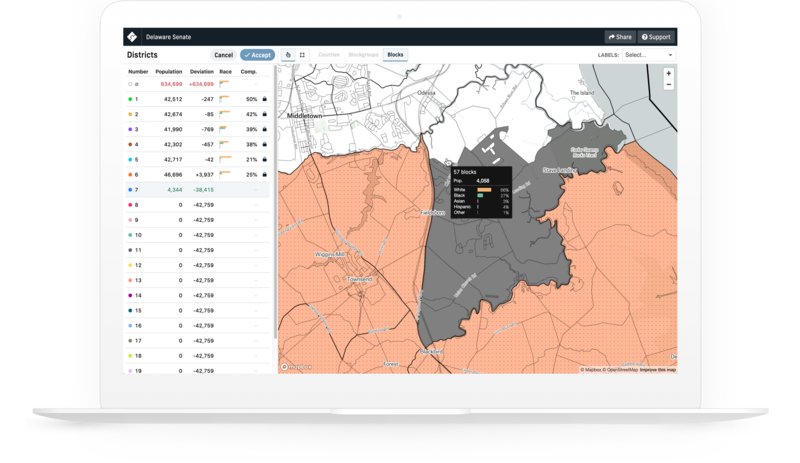 DistrictBuilder is an open source product that makes the redistricting process more open and transparent by allowing communities to create district plans using a mapping platform. Redistricting occurs after the completion of the United States Census, which is conducted every 10 years.